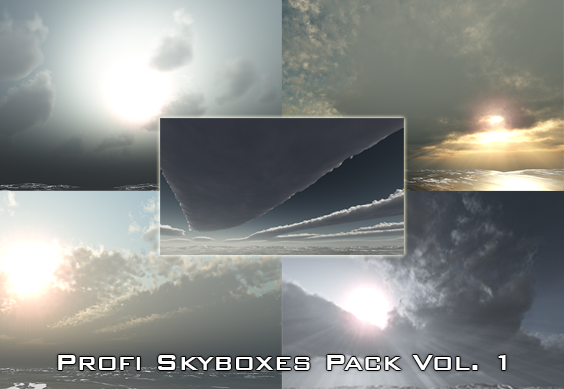 - The package contains 5 skyboxes. - The textures are imported at 512x512 to speed up the import process, but the original files are now 8192x4096 and can be re-imported up to size 2048 for higher quality. - The package also contains prepared material skybox and a cubemap.